A portal that serves as a search engine into the collections of libraries, museums and archives around the country has struck a deal with the Library of Congress to share several of its historic map collections. The Digital Public Library of America (DPLA), a non-profit organization funded by foundations and government agencies, has signed a memorandum of understanding with the nation's de facto library to become a "content hub partner." Under the arrangement the Library of Congress will share three batches of map and chart records, one from the Revolutionary War, another from the Civil War, and the third from a "panoramic maps" collection depicting U.S. and Canadian cities and towns during the late 19th and early 20th centuries. 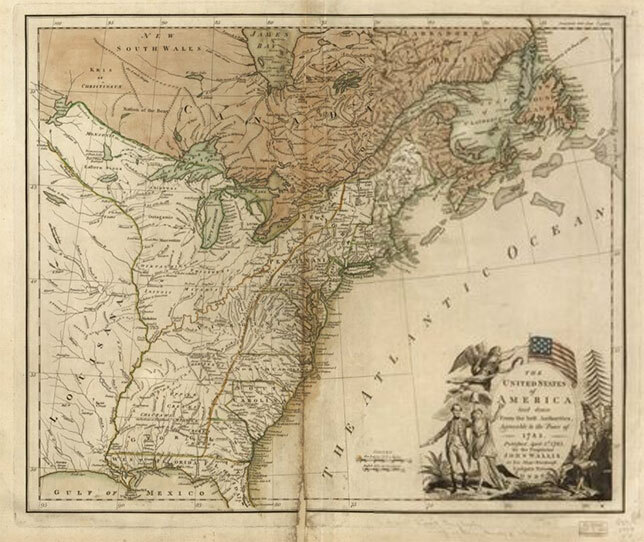 Currently, the contents will include about 5,000 items, but as the Library of Congress continues to digitize its map collections, the number of items shared will increase. Likewise, the Library expects to add other digital collections as well, including photos and sheet music. "We will be sharing some beautiful, one-of-a-kind historic maps that I think people will really love," said Librarian of Congress Carla Hayden, in a prepared statement. "They are available online, and I hope even more people discover them through DPLA." This isn't the Library's first inclusion in the DPLA database. Portions of its book collection have been digitized through its participation in the HathiTrust Digital Library and the Biodiversity Heritage Library, both of which are DPLA content hubs. The DPLA allows users to search its index by timeline, map, format, subject or partner and provides users with links back to the original content site where he or she can view, read and sometimes download results.